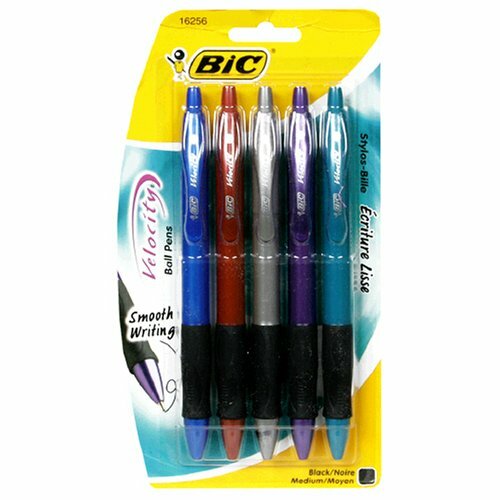 BIC Velocity Retractable Ball Pen, Refillable, Medium (1.0 mm), Black, 5-Count (Pack of 6: Contoured grip for writing comfort. Medium point. Refillable Pen. Bright barrels for high impact appearance.